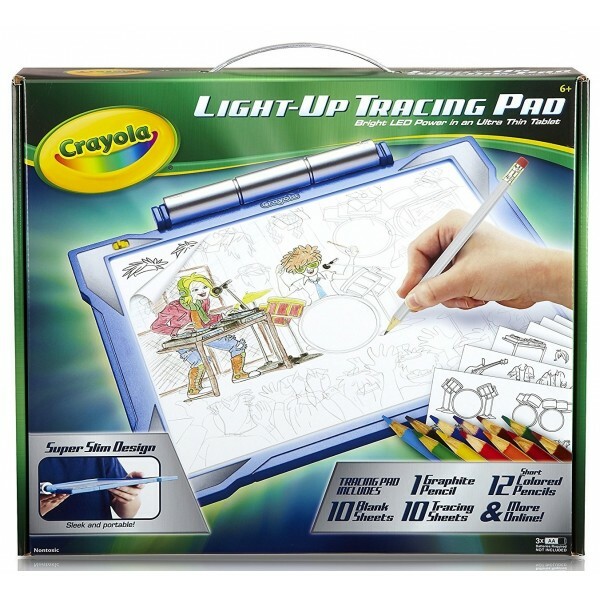 Give kids the confidence to create with this set from Crayola, which includes a glowing coloring board and art supplies! They can place any of the 10 tracing sheets on the tracing pad, then use a blank sheet and the graphite pencil to trace the image before adding their own flair. 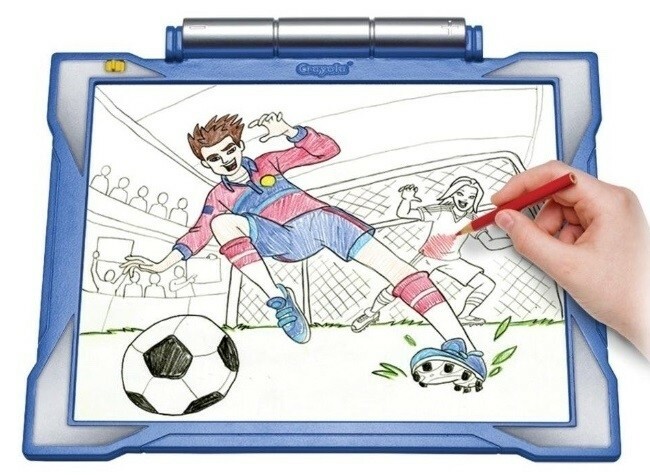 The art kit lets kids choose from over 100 traceable images, which helps guide their creativity without requiring them to draw an individual scene from scratch. Plus, who wouldn't enjoy drawing in the dark? 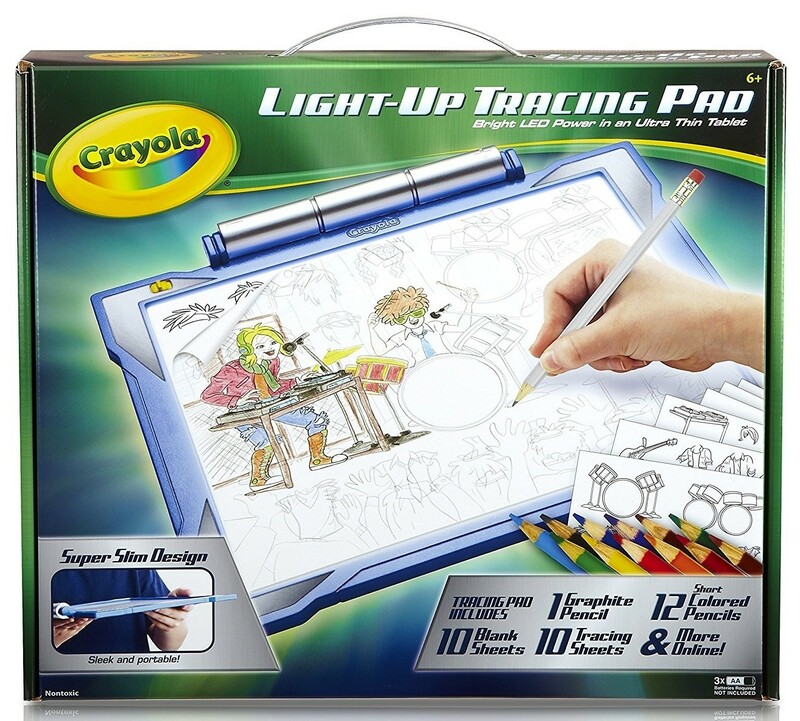 This set comes with a light-up tracing board, 10 tracing sheets, 10 blank sheets, a graphite pencil, and 12 colored pencils. For even more tracing fun, check out the hundreds of images online!